If you are suspicious of what is happening in the background while running programs and games installed on your Windows installed computer, the first thing you need to do is to activate the firewall. However, it is often possible to get detailed information on Windows 'firewall because Windows' s firewall requires permission to access the programs during installation or when they are running. At this stage, what are the programs running behind? the question of what information comes to mind comes to mind. To do this, you should use a firewall program. 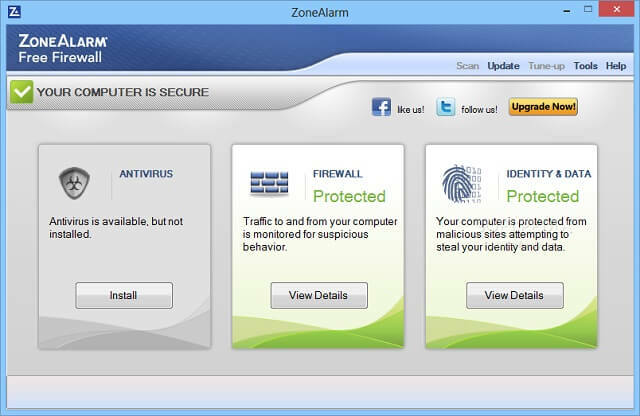 ZoneAlarm Firewall is one of the best windows based firewalls in the world. It will protect all your ports and prevent attacks on your outgoing traffic. Not every antivirus program will work with most antivirus programs. The answer to the question of whether you want a lightweight firewall application will surely be tinywall. Because 1 MB of ram is said to spend on programs that the program gives access to other restrictions, unaware of the background does not allow a process. Anti netcut3, designed as a kind of armor to be used in unsafe wireless networks, protects you against ip scans and fake networks. I think one of the best in the world about the firewall, perhaps the first three of the software of comodo company works like a real barrier. Unlike other firewalls, it provides complete security with programs and information from cloud servers.